Congratulations to Dr. Patricia Henwood for earning the AWAEM Early Career Faculty Award. This award honors early career female faculty who have shown promise for significant career achievements in emergency medicine through research, education, service, advocacy, or administration, and/or who have worked to promote the role of women in academic emergency medicine. Dr. Patricia Henwood is the Associate Chief of the Division of Emergency Ultrasound and Director of Global Ultrasound Programs in the Department of Emergency Medicine at Brigham and Women’s Hospital/Harvard Medical School in Boston, USA. 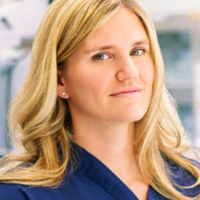 She is also the President and Co-Founder of Point-of-care Ultrasound in Resource-limited Environments (PURE), a non-profit organization focused on ultrasound education and research in the developing world. Dr. Henwood attended Georgetown University where she studied Government and then received her medical degree from Jefferson Medical College. She completed residency at the Harvard-Affiliated Emergency Medicine Residency at Massachusetts General and Brigham and Women’s Hospitals, and then went on to emergency ultrasound fellowship with a global health focus at Brigham and Women’s Hospital. Dr. Henwood focuses on emergency ultrasound education with a research focus on the role of ultrasound in global health and humanitarian settings. Over the last decade she has developed and led ultrasound training programs in Rwanda, Uganda, Tanzania, and Liberia. Dr. Henwood is the co-chair of the American College of Emergency Physicians Global Health Ultrasound Subcommittee and International Advisor to the Ultrasound Committee of the African Federation of Emergency Medicine.